NEWS: Our work modeling smiles was featured in a joke on Late Night with Seth Meyers. NEWS: Our recent work in modeling human faces has been covered by The Guardian, Popular Science , Science , and others. and has received wide press coverage including: Physics, Nature News, Science News, and The Boston Globe . NEWS: Videos from our recent work in pedestrian modeling are being featured in the American Physical Society's annual video gallery. Stephen J. Guy is an associate professor in the Department of Computer Science and Engineering at the University of Minnesota. His research focuses on the areas of interactive computer graphics (real-time crowd simulation, path planning, intelligent virtual characters) and multi-robot coordination (collision avoidance, sensor fusion, path planning under uncertainty). Stephen's work on motion planning has been licensed for use in games and virtual environments by Relic Entertainment, EA, and other companies; his work in crowd simulation has been recognized by best paper awards at international conferences. 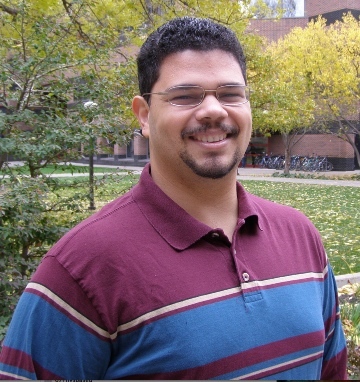 Prior to joining Minnesota, he received his Ph.D. in Computer Science in 2012 from the University of North Carolina - Chapel Hill with support from fellowships from Google, Intel, and the UNCF, and his B.S. in Computer Engineering with honors from the University of Virginia in 2006. I always look forward to meeting and collaborating with new students. I have a wide variety of interests (games, robots, AI, graphics, simulations, ...), and am always excited about new ideas in these fields. If you are interested in discussing any of these areas, feel free to stop by my office or e-mail me to schedule an appointment. I'm particularly seeking students who have previous experienced with comercial 3D modeling & animation packages, as well as hands on robotics work. If you are interested in joining me as a graduate student, I'd love to discuss how your research interests may potentially fit with my lab. In general, e-mail is the best way to contact me (and most other professors); David Evans has some great advice on how to do this productively -- I strongly recommend reading this before contacting any professor about graduate school.